We undertake traces on freeholder and trace property owners regularly. You may need to locate a named person on your lease or title. If so, our experts know that most of the time you have a copy title from the land registry and little else to go on. Often, the deed will show the same address for the owner as the address you know he is not at! This can be frustrating and with a lack of details, it can be difficult to trace the owner of the property. hope to renovate and re-sell. It’s common and today, with property at a premium, we know that empty properties gather interest quickly. So you know you have to be quick to find the owner and put in your offer as soon as possible. Sometimes we have clients from neighboring or surrounding properties that are being damaged or reducing sale values due to their neighboring house being such an eyesore. They need to locate an owner or someone responsible to ensure this property does not continue to impact their own. 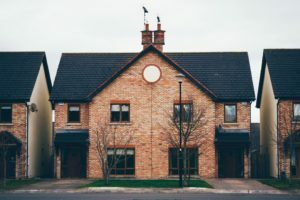 Sometimes leaseholders come to us who need to contact a freeholder with the need to undertake changes to deeds, or titles or even the sale of the freehold. Possibly the lease nearing its end or works need to be done to the structure of the building. But where is the freeholder? Is the land or property not registered? Again, with property at a premium, the opportunity to build or buy land is not one to be passed up. You may need to extend your boundary or want to develop the plot, but the freeholder is nowhere to be found. We know the correct way to locate a property owner and can even make contact on your behalf. Sometimes the case that the owner has passed away and the next of kin has not made steps to care for or renovate the address. These cases can involve searches of probate and wills or sweeps of genealogy to locate family members and discover who can assist or find out who is responsible for the land or property. Ready to find your missing property owner?